SAN ANTONIO — If your New Year’s resolution was to eat healthier, prepare to break it in record time. 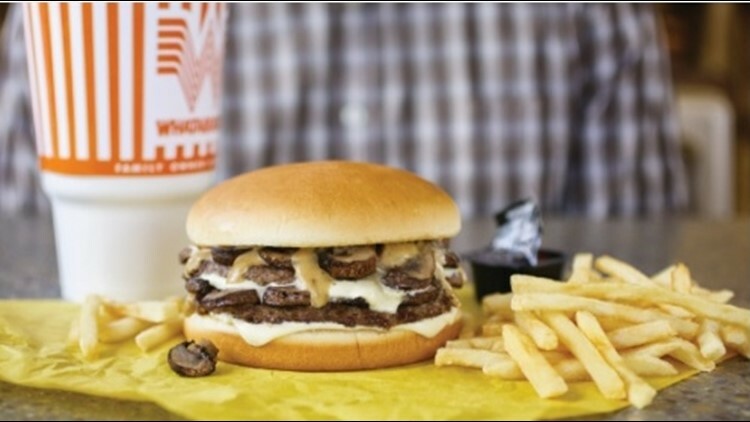 The justification: Whataburger is bringing back its Mushroom Swiss Burger for a limited run to begin 2019! The delicious menu entry features a burger topped with mushrooms, Swiss cheese and Au Jus sauce to get your year started off deliciously. It was initially introduced in early 2018 for a brief time, with the restaurant touting it as a new option for mushroom lovers. Plus: Ever wonder how this work of art is created?